"The Internet is Always Open: You're Always Connected to Your Job"
"The Internet is Always Open: You're Always Connected to Your Job." My current work seeks to perfect the very essence of making ceramics by focusing on just clay, water, and fire. The saggar firing process relies on the skill and experience I have developed over thirty years to create an environment of combustible materials that will use the fire as a painter uses a brush. 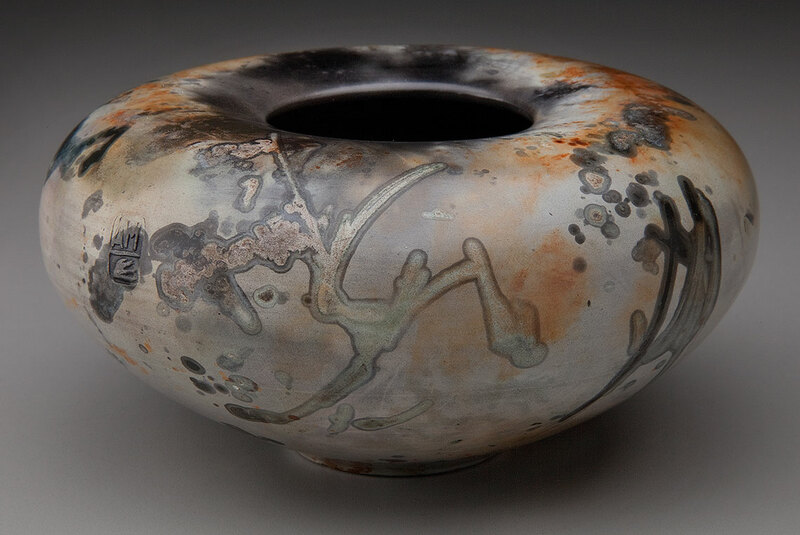 Unlike raku or glazing, the coloring of a saggar-fired pot occurs from the moment the kiln is lit until the pot has completely cooled. 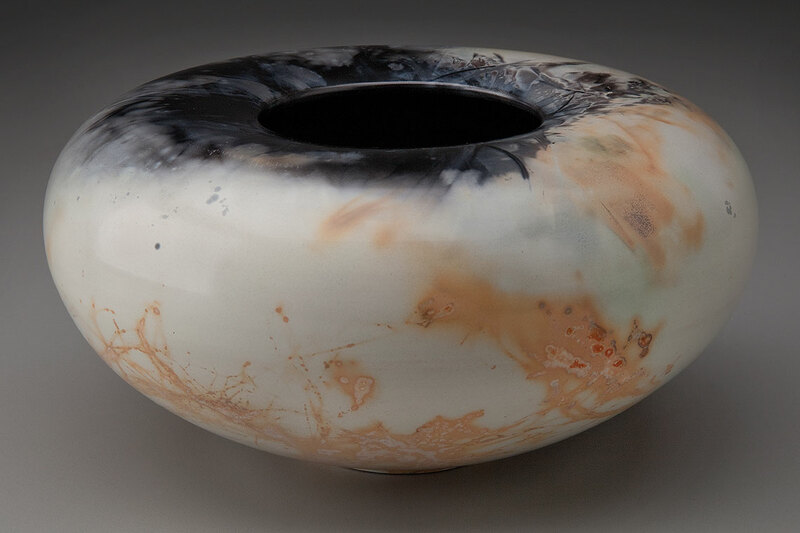 To accentuate this unique coloring, I use a vocabulary of forms built with a foundation from the traditions of ancient ceramics cultures and then honed with my intuitive understanding of form. I believe that saggar firing approaches the very heart of ceramics as a medium—the fusion of clay, water, and fire. By eliminating everything that is not these three components, my work unites surface and form. 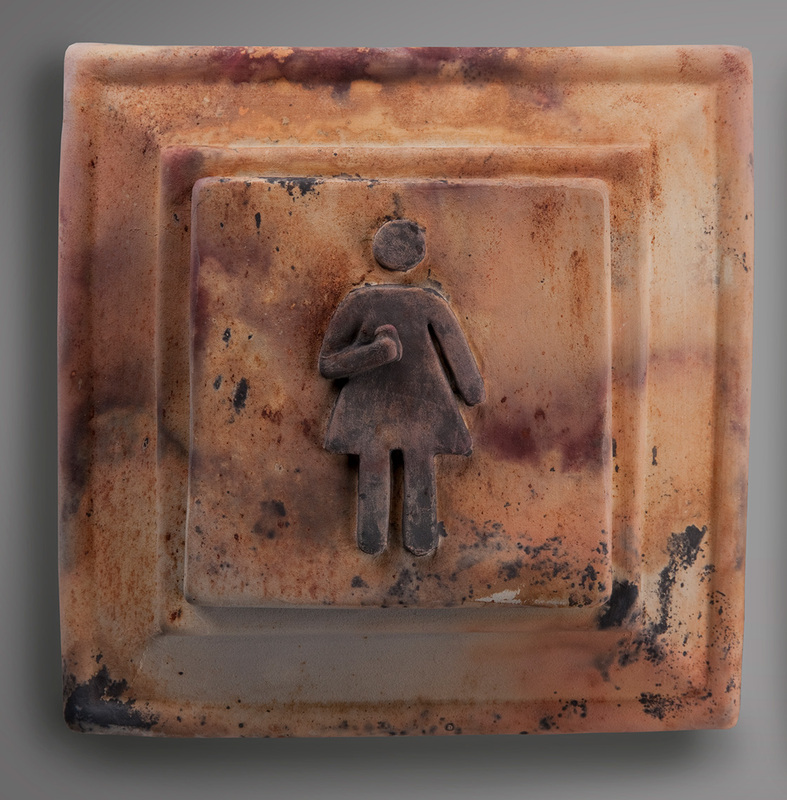 My iTalianate series integrates two very different inspirations—ancient objects that might have been part of an archaeological dig and figures that represent the new reality of over-connected humans living in the digital age. Through this work, I question, comment, and poke fun at humans tethered to their devices and the resulting changes in social behavior. In essence, these ceramic works are three-dimensional editorial cartoons. The name “iTalianate” blends a word that means Italian in appearance or character with the lowercase “i” common to a certain technology company’s products. Because I was born before the creation of internet, I am a digital immigrant, not a digital native. I use a lot of technology myself, but my place as an outsider in the digital age helps me observe the effect all this technology is having on society and relationships. The Italian inspiration for this series began with a trip to Italy in 2013. Like many travelers, I was fascinated by Italy’s history, art, landscape, and architecture, but I was also intrigued by things such as colors found in the earth, tufa stone, and pottery forms by anonymous artisans. I visited the studios of two Italian ceramic artists, Franco Balducci in San Gimignano and Marino Moretti in Viceno. Mr. Balducci invited me to throw a pot with Italian clay on his Magnolfi-Bigalli, an Italian potter's wheel, and Mr. Moretti gave me a container of iron oxide from that region. 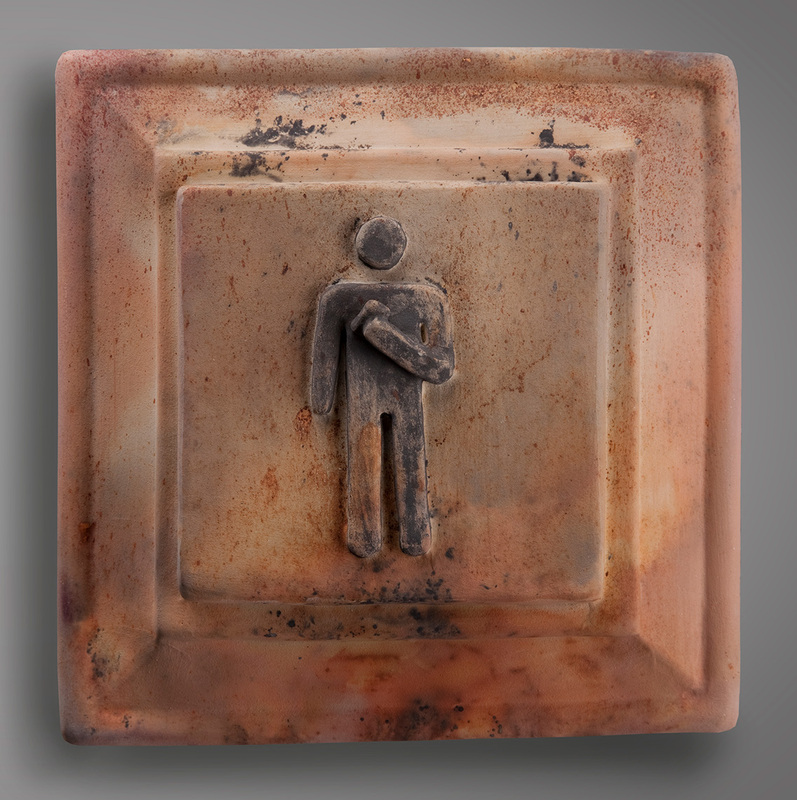 As I began to experiment with the iron oxide, I used it to create an antique surface decoration when combined with my existing firing techniques. I remembered an ancient bowl with human figures walking on the rim that I had seen in Florence and that led to adding modern, technology-addicted figures. This iTalianate series has more than thirty pieces that link past, present, and future.